Have you been to the National Corvette Museum Bash? It’s where Chevrolet releases their latest products for the coming model year. The Corvette team is on hand for Q&A. And it’s where Callaway Cars has showcased its latest offerings for several years. 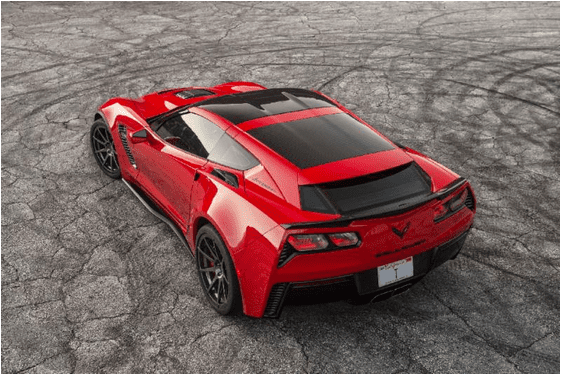 This year is no different, as Callaway Cars will have its latest cars and parts on display, including a 757 horsepower Callaway Corvette SC757 Z06, the 250,000+ mile 2010 Callaway Corvette, and the public debut of the Callaway AeroWagen™ Package. The Callaway team will be in attendance to present their products and address questions from event attendees, including: Company Founder Reeves Callaway, Callaway Cars West General Manager Pete Callaway, Mike Zoner, Managing Director of our Connecticut facility, Chris Chessnoe, Program Manager, and Paul Deutschman, Callaway designer for the last twenty-nine years. 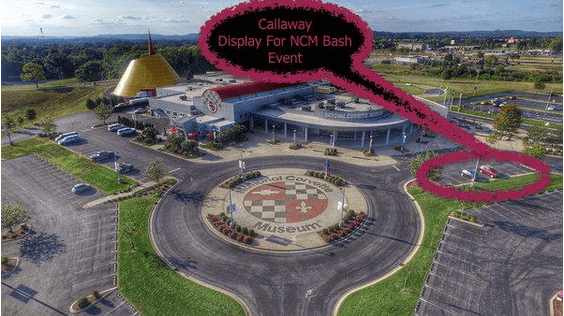 Informative seminars, presentations, and hands-on tech discussions are scheduled, and Callaway will conduct personalized tours of the Museum’s Callaway Corvette exhibit, which is on site through May 5 and spotlights sixteen very special Callaways. A complete NCM Bash schedule agenda may be found here. Below please find an overhead photo which indicates the location of the outside Callaway display. NCM is 1 hour from Nashville – BNA Airport by car.